The DOC is a Brotherhood for Orthodox men. Dead to Self, Orthodox Forever. What is the DOC about? Love for neighbor: all mankind. Numbers 21:9: And Moses made a bronze serpent, and put it upon a pole, and it came to pass, that if a serpent had bitten any man, when he looked at the bronze serpent, he lived. John 3:14-15: And as Moses lifted up the serpent in the wilderness, even so must the Son of man be lifted up: That whosoever believeth in him should not perish, but have eternal life. Romans 6:8: Now if we be dead with Christ, we believe that we shall also live with Him. 1 Timothy 2:11: If we be dead with Him, we shall also live with Him. Galatians 3:13: Christ hath redeemed us from the curse of the law, being made a curse for us: for it is written, Cursed is every one that hangeth on a tree. 1 Corinthians 15:31: I die daily, I affirm by your glory, brethren, which I have in Christ Jesus our Lord. 2 Timothy 4:8: Henceforth there is laid up for me a crown of righteousness, which the Lord, the righteous judge, shall give me at that day: and not to me only, but unto all them also that love his appearing. St. Anthony the Great: Death, if one keeps it in mind, is immortality; but to not keep it in mind is death. St. Isaac the Syrian: …the Saints that while alive they were dead; for though living in the flesh, they did not live for the flesh. St. Gregory of Nyssa: For our sake He became a serpent, to devour and consume the Egyptian serpents produced by the sorcerers. 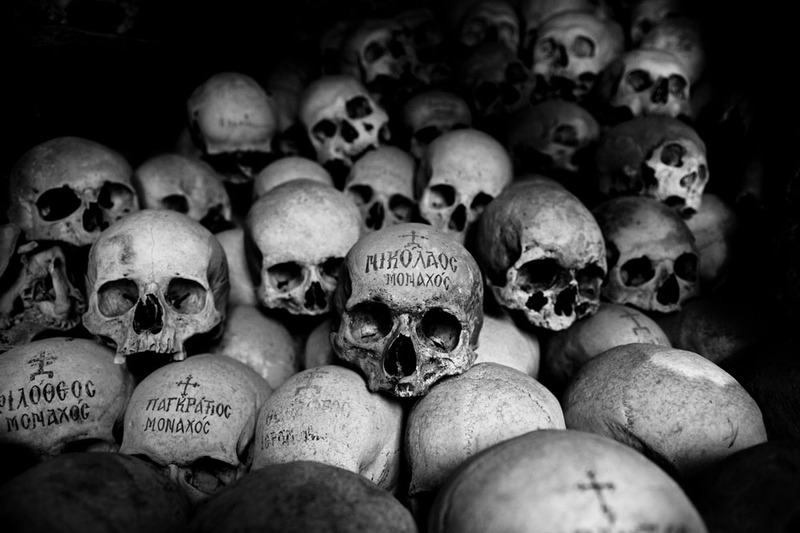 St. Paisios: If people do not think about death, they are living outside reality. Those who fear death and love the vain life of this world also fear germs and are constantly overcome by a timidity that always grips them in a state of spiritual death. Elder Cleopa: The greatest wisdom that guards a man from all sin, and guides him to perpetual happiness, is to always see death in front of you! And to have Jesus Christ (the prayer) in mind and heart!